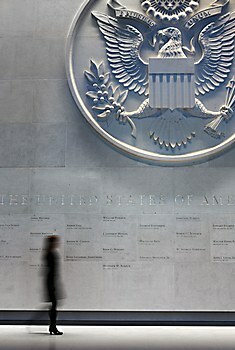 C&G Partners crafted a poetry of place in the environmental graphics for the U.S. Embassy in London. 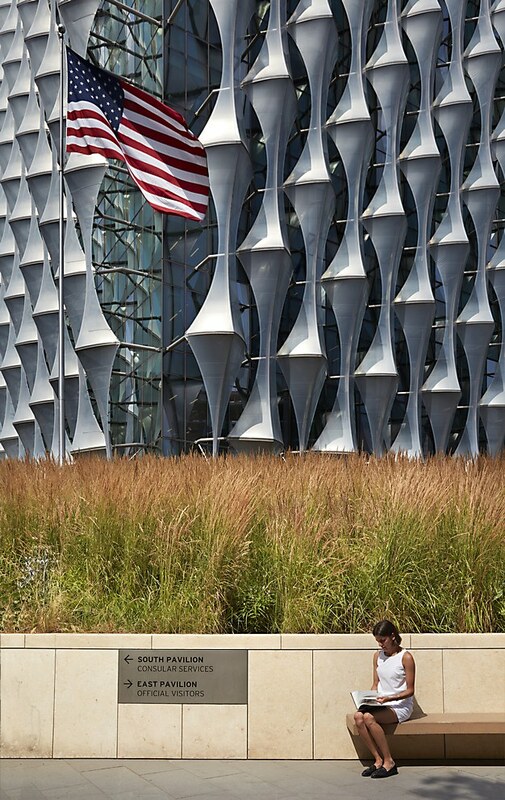 Background: For the Embassy of the United States’s experiential graphics and signage, we strove to create a poetry of place in a manner that an American emissary might employ when welcoming U.S. or foreign visitors into London, United Kingdom. 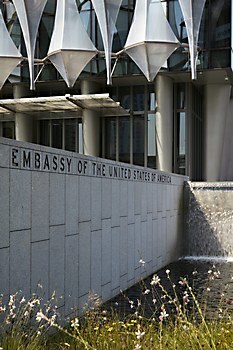 Reasoning: Adjacent to a waterfall and a symbolic pond, the idea of the poetry of place is communicated by juxtaposing the solidity of uppercase lettering EMBASSY OF THE UNITED STATES, with bronze inset in granite. 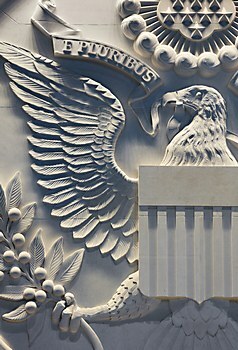 The place name is typeset into stone in deference to letterpress typography used in the Declaration of Independence broadside. 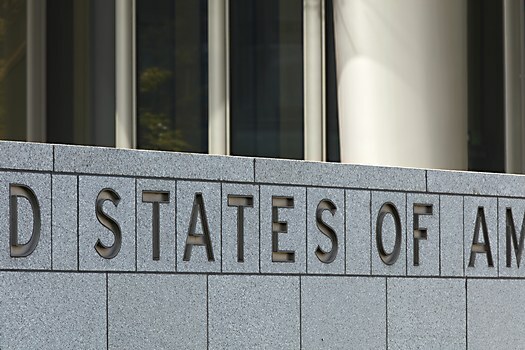 Challenges: The U.S. State Department construction protocol limits oversight. 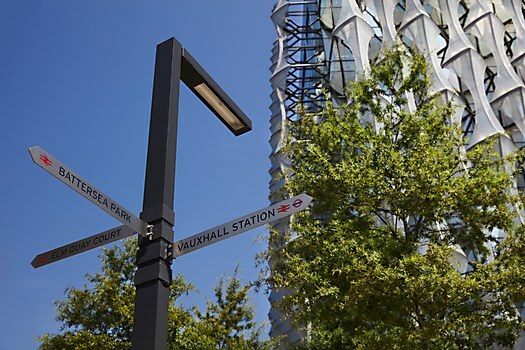 More oversight allows for compliance with design intent, refinement of typography, participation in the fabrication and adjustments to “as built” conditions during installation. 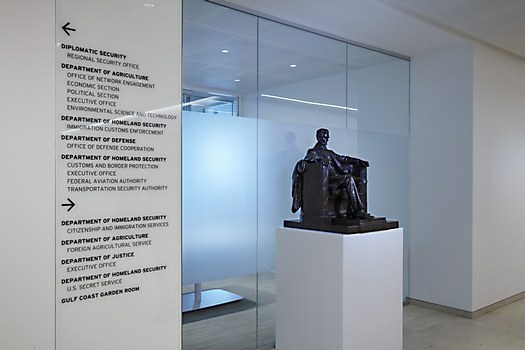 Favorite details: In the reception area, the poetry of place is expressed with a monolithic computer and hand-crafted seal that crowns a roster of ministers and ambassadors. 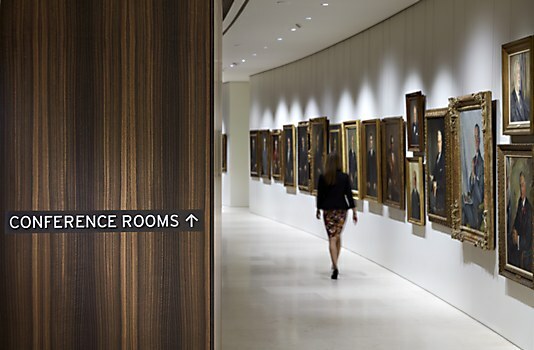 Starting with John Adams, the roster of names includes Anne Armstrong and concludes with today’s ambassador, Woody Johnson, the owner of the professional football team the New York Jets. 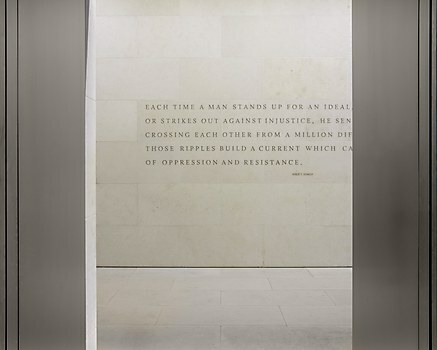 Inside the building, the idea of the poetry of place surfaces with inspirational quotes from Martin Luther King and Robert Kennedy embedded in stone pavers and carved in limestone walls. 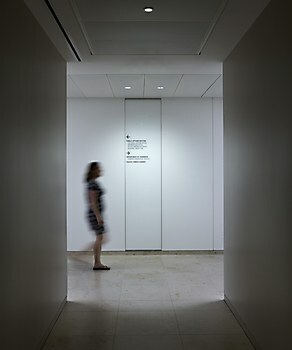 It is also experienced on white glass panels that reflect visitors atop directions to departments. 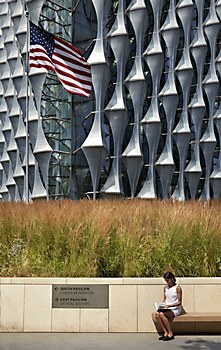 Time constraints: The Embassy commission took many years to realize. 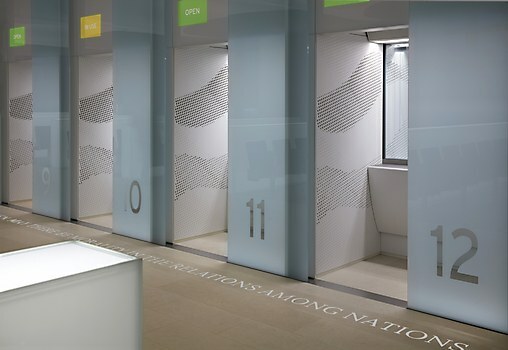 We were brought in early and periodically re-engaged when input on experiential graphics and signage was needed. 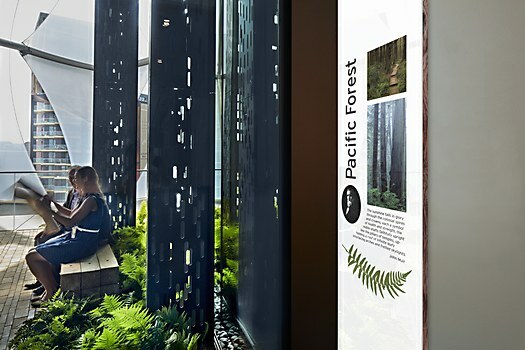 Anything new: KieranTimberlake and Olin Landscape Studios value integration of landscape, art and experiential graphics and signage. 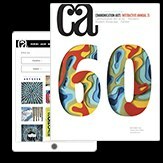 We have enjoyed collaborating with both studios and learning their methodologies. The identity for this Asian street food restaurant pays homage to both street and sticker art culture. “The Path to Sleep Enlightenment” takes viewers on a trip through the mattress decision-making process to make it clear that Saatva is the best. 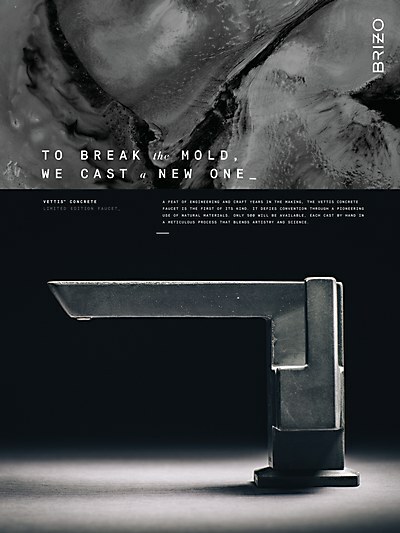 Luxury intersects with concrete artisanship in Young & Laramore’s print ads for Brizo’s limited edition Vettis Concrete faucet.